The first publication to outline the complex global story of human migration and dispersal throughout the whole of human prehistory. 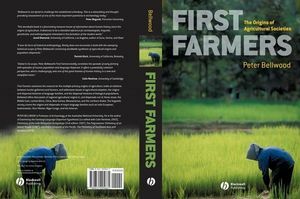 Utilizing archaeological, linguistic and biological evidence, Peter Bellwood traces the journeys of the earliest hunter-gatherer and agriculturalist migrants as critical elements in the evolution of human lifeways. Peter Bellwood is Professor of Archaeology at the Australian National University. A renowned authority in a field driven by contesting paradigms, his vast experience and detailed empirical research have informed his widely-translated publications, especially covering South East Asia and the Pacific. 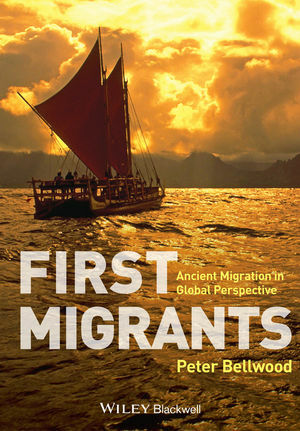 Recent key works include The Encyclopedia of Global Human Migration, Volume 1: Prehistory (2013), co-edited with Immanuel Ness, First Farmers (Wiley-Blackwell, 2005), Prehistory of the Indo-Malaysian Archipelago (second edition 1997, reprinted 2007), and Examining the Farming/Language Dispersal Hypothesis (2002), co-edited with Colin Renfrew. His research integrates a range of techniques from archaeology, linguistics, and human biology, and he is currently engaged in archaeological research in Vietnam and the Philippines.